If you pay attention to health news, you likely heard the sugar industry paid off three Harvard scientists 50 years ago to blame fat for heart disease. Maybe you weren’t around or old enough to care in 1967, but undoubtedly your nutrition beliefs and those of your parents and teachers have been shaped by this big fat fib. The Sugar Association clearly wanted the negative spotlight OFF sugar. It worked; over the past 50 years, we cut our fat intake by 25%. We’ve been lectured by doctors, teachers and the media to toss the butter, banish the bacon and sip skim. You would think we would all be thin. However, since the fat-is-bad message was launched, our obesity and diabetes rates tripled. We are seeing increases in cancer, Alzheimer’s, arthritis, allergies and asthma. It turns out that fat, including saturated fat, is not so bad; it’s actually good. We need it! Our obesity and disease rates point to sugar not fat. A March 2014 report published in the Annals of Internal Medicine analyzed close to 80 studies on fat, with over 600,000 study participants and found no connection between saturated fats and heart disease nor did they find health benefits with polyunsaturated fats. The authors report, “null associations” between saturated fats and heart disease ands stroke. Saturated fats play a vital role in the integrity of our cell walls as well as inside the cell at the mitochondria level.Without saturated fats, our cell walls would lack the structure needed for us to survive. Your brain is primarily saturated fat and cholesterol. A low fat diet is more likely to cause memory loss and cognitive decline than a high fat diet. The gut and liver damage caused by alcohol are worsened by eating unsaturated vegetable oils such as corn and safflower oils but offset by saturated fat. If you like a cocktail before dinner, you better be slathering butter or your broccoli and choosing marbled beef or lamb. Certain saturated fats help keep immunity up, preventing infections. Lauric acid, a saturated fat in coconut oil for instance, kills parasites and viruses. Saturated fats, as opposed to liquid vegetable oils, escape the storage promoting effect of insulin. Instead of heading for your love handles and thigh cells, saturated fats go directly to the liver where they are burned for energy and warmth. Saturated fats provide greater satiety and reduce food intake more than unsaturated fats from vegetables oils. 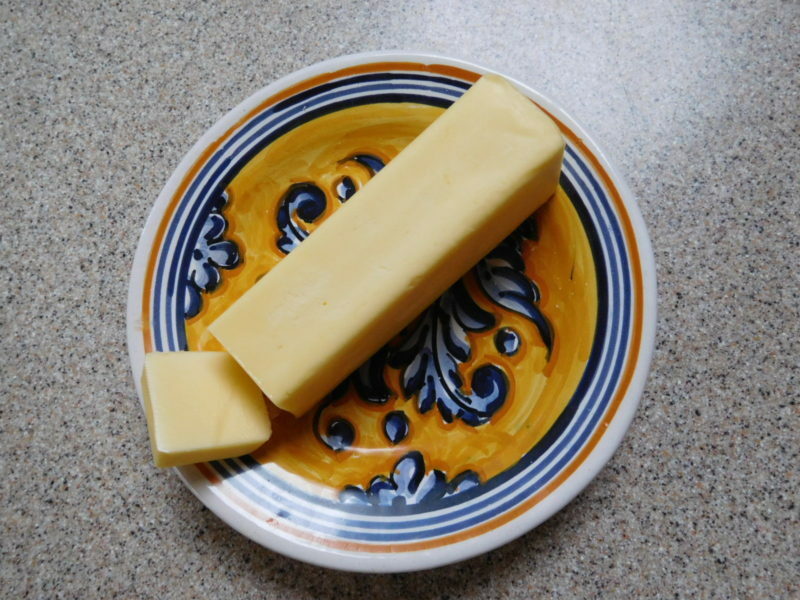 Butyrate, a saturated fatty acid found most abundantly in butter, is therapeutic to the large intestine. Our colon bacteria actually produce this fat; dietary sources however, provided added health benefits. Some studies show this fat can alleviate Crohn’s disease and other GI ailments. Butyrate also offsets weight gain in mice fed to become obese. Furthermore, saturated fats, like butter and coconut oil, are not highly perishable, as are vegetable oils such as soy, sunflower, or corn. Unlike unsaturated oils, saturated fats do not turn rancid with toxic age-promoting peroxides. Bottom line? To stay lean, protect your liver, and stay well, butter up your veggies. Cook in coconut oil, duck fat and lard. Don’t hold back on cheese, egg yolks or bacon, and eat more steak and lamb.